Hey there all!! Today's share is a couple cards that i made using the Heartfelt Banner Kit which is an item that you can get for Sale-A-Bration beginning on January 28th. It's almost here!!! YAY!!!! I can't show you the whole kit but these are a sneak peek of a few of the things that come in the kit. Now, i haven't really been into banners... i have only made a few of them but i LOVED the items in this kit, so i decided one day to use the items in the kit on cards. Hence, "Thinking Outside the Banner". For my first card (the one showed above) the items that are from the Heartfelt Banner Kit are the two banner looking pieces that are in the background backing the vocal point, which is the top piece that has the flowers on it. My card is using the Crushed Curry and is average sie of 4 1/4" x 11", scored at 5 1/2". I wanted my vocal piece to pop a little so i took my Sponge Dauber and a little Baked Brown Sugar. 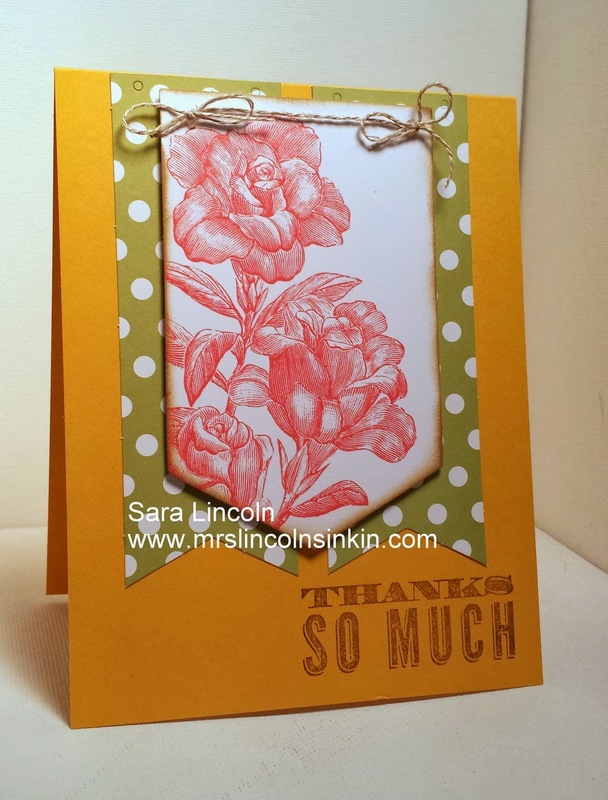 I made it into a thank you card using the Oh, Hello stamp set. For my second card i used two Chevron banner piece that came in the kit, and the only thing that i did to them was add a piece of Basic Black as a backing piece. 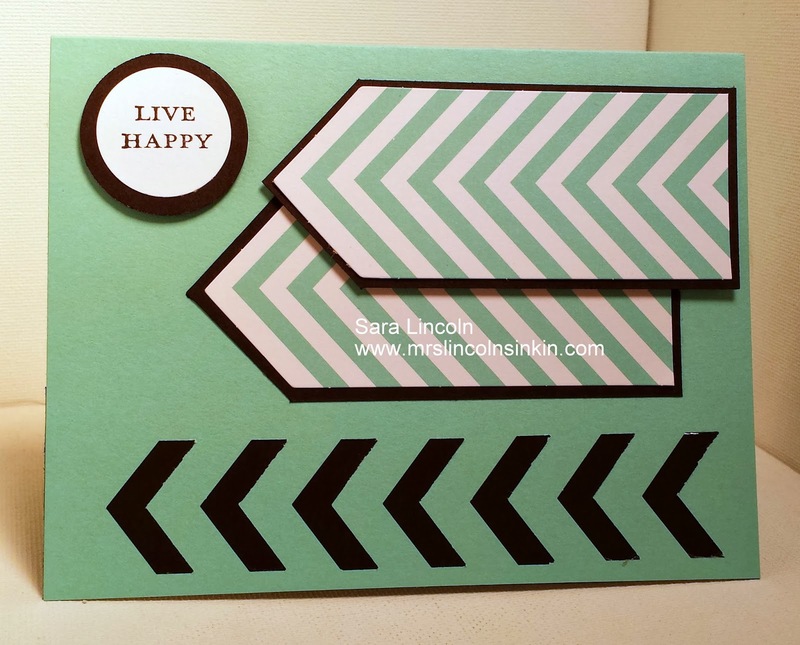 I then used the AWESOME Chevron Boarder Punch on the bottom and backed that with a piece of Basic Black as well. For my sentiment... it is another sneak peek of a stamp set that you can get from the Sale-A-Bration brochure. Now, what is Sale-A-Bration you ask? Well, it is an amazing promotion that SU! throws every year where they put together a few products (in this case 13) and with every $50 you spend you can choose one of the products for FREE. Plus there is no limit... you spend $50 you get 1 item... $100 you get 2 items and so on. And for my my second item it is the Chevron Boarder Punch.